Sen. Jim DeMint, Sen. Mike Lee, Sen. Rand Paul, Senate Candidate Ted Cruz from Texas and Senate Candidate Richard Mourdock from Indiana on FreePac Video. Mourdock is clearly VERY proud of his Indiana supporters. Mike Lee responding to Texas Gov. Rick Perry‘s criticism of outside groups in the Texas Primary … and Jim DeMint’s statement that “every senate race is a national race”. FreePAC blogger press conference July 26 2012 from Jeff Reynolds on Vimeo. 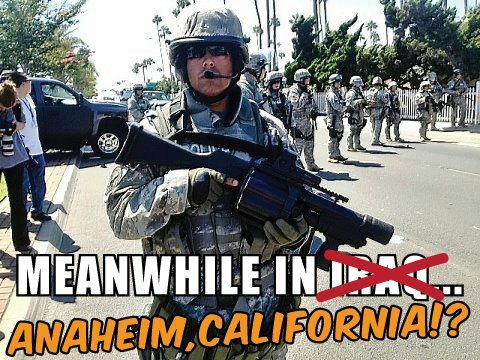 DHS is peddling military weapons to local police. WHAT could go wrong? 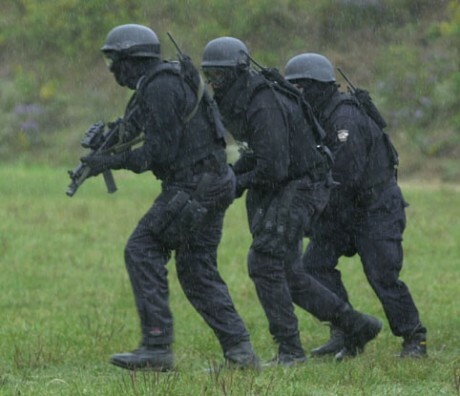 The Department of Homeland Security has begun a new program to counsel local police departments on how to buy and use armored vehicles, military helicopters, tanks, humvees, body armor, sniper rifles and even UNMANNED DRONES. Does anyone actually believe it’s a good idea to use weaponized military vehicles for civilian “surveillance”? Is this really the direction in which we are headed? 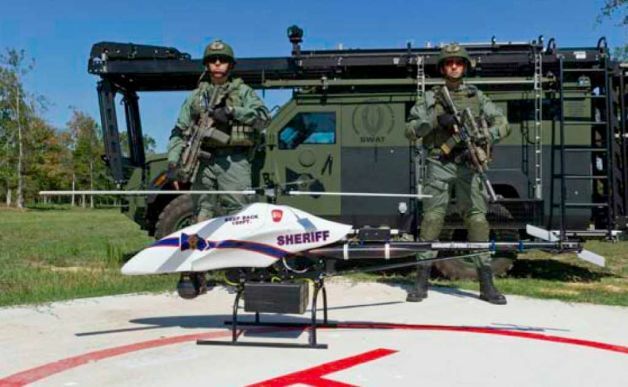 According to the Montgomery County Sheriff’s Office the $300,000 ShadowHawk drone, purchased from Vanguard Defense Industries, will take to the skies in the coming months to provide another tool in their law-enforcement arsenal. 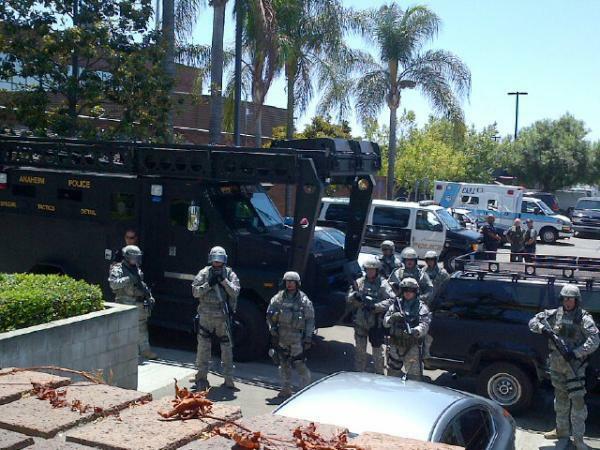 Outside the Anaheim Police Department today. 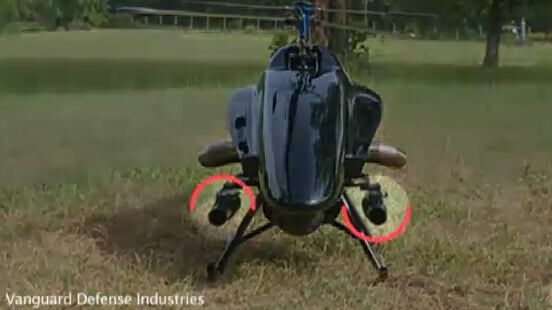 Aerial ‘Shadowhawk’ Police Drones can now deploy tasers & tear gas. Brenneman Memorial Missionary Church is helping students in kindergarten through fifth grades get ready for school by giving away 1,000 backpacks, 500 pairs of gym shoes, free hair cuts and more at the first Back to School Goshen Aug. 4. 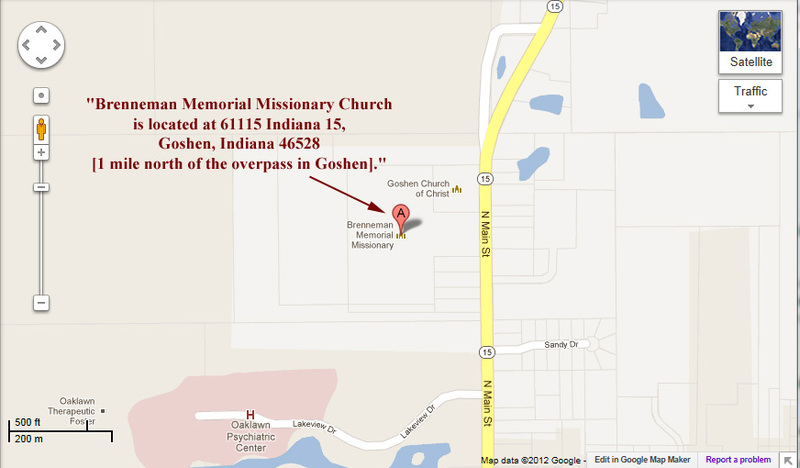 Brenneman Memorial Missionary Church, 61115 Ind. 15, Goshen, is hosting the event for Goshen-area school children from 10 a.m. to 2 p.m. on a first-come, first-served basis. “Everything is free while supplies last,” said Director of Worship Kelli Armentrout. Along with the gym shoes, canvas-style backpacks and school supplies giveaway, the day will include free lunch for all attendees, basic hair cuts, a car wash with fluid and tire checks, child safety seat inspections, a dental education booth with free dental supplies and a mini social services fair. There will also be a bouncey house to play in and drawings for gift cards throughout the day. The shoes, backpacks, haircuts and dental station are only for children in grades K -5, Armentrout said. But younger children will be able to use the bouncey house and lunch is available to everyone. For more information call 574-534-1491. Have you ever seen a Goshen City Council member getting tazed by the Police Department? 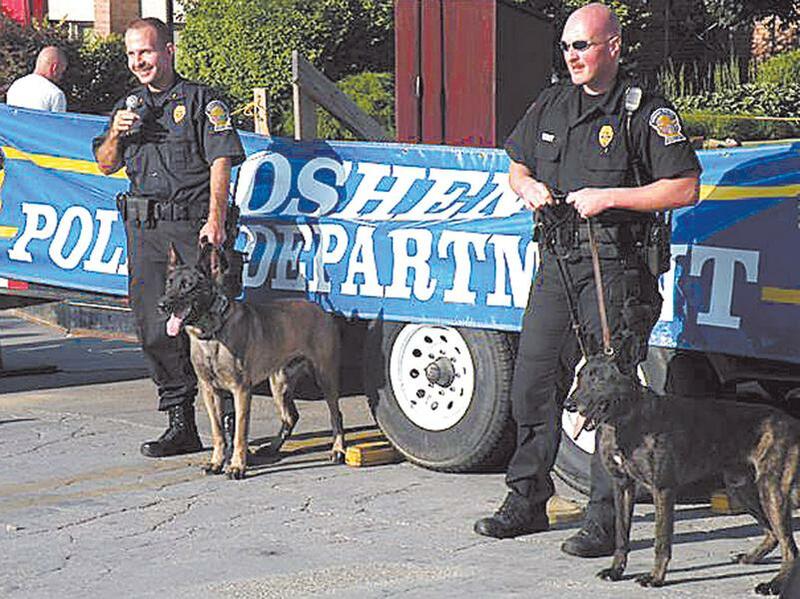 Well, “Goshen’s Night Out,” in partnership with August’s First Fridays event, will give you the opportunity, according to Goshen Police Detective Kevin Miller. While being tasered is not on the top of his “fun” list, Stutsman said he hopes his participation will bring out a large crowd to the “Night Out,” an event that hopes to educate locals on available emergency resources and departments. On the First Friday of every month – throughout the year – businesses, artists, and entertainers throw a party in downtown Goshen. Hours are generally from 5 p.m. to 9 p.m.
Bring your family, friends and neighbors to Goshen’s Night Out – Taking a stand against crime. Organized by the City of Goshen Police Department. Free food! Prize giveaways! Family & Kids’ activities! 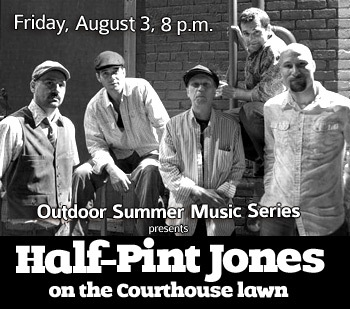 Half-Pint Jones is a colorful five-piece project of sophisticated funk, jazz, and rock sprinkled with the musical flavors of New Orleans. This dynamic group was birthed during the aftermath of Hurricane Katrina and is rooted to staying true to all musical and spiritual influences; keeping their music honest and fresh. Based in South Bend, Indiana, these five musicians have come together to express a new, organic, manner of story-telling and musical improvisation, while maintaining a completely relatable sound. 1st Friday Events hosted by: Downtown Goshen Inc. 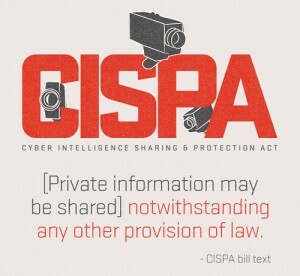 Since the passage of the Cyber Intelligence Sharing and Protection Act by the U.S. House of Representatives in April, #CISPA has been everywhere. Also, let’s not forget the gradual expansion of CALEA and the Lieberman-Collins Cyber Security Act and the NSA-centric McCain Cybersecurity Act. An explanation of how CISPA wil kill ALL PRIVACY on the internet HERE. Who supports CISPA and who doesn’t HERE. What has gone largely unnoticed in this torrent of analysis, however, is that privacy tools for individuals already exist and they have so for many years! Quietly anticipating encroachment against basic Internet liberties, concerned cyber privacy advocates has been coding and releasing the tools that allow for private electronic communication and private web surfing. Proposed legislation like CISPA may or may not pass and become law, but if it does we have to understand the new landscape. Your privacy is up to you! 1. Email Privacy – Naked email is like a postcard for anyone to read. Pretty Good Privacy (PGP), an open source software program created by Phil Zimmermann in 1991, is the global standard for point-to-point encrypted and authenticated email. Hushmail is an OpenPGP-compatible web-based email platform that does not have access to your user password for decryption. Both products, when used correctly, offer subpoena-proof email communication. 2. File Privacy – Your files might be stored in the encrypted cloud but that doesn’t mean that they’re 100% safe for your eyes only. Free and open-source TrueCrypt allows you to encrypt folders or entire drives locally prior to syncing with Dropbox. BoxCryptor also facilitates local file encryption prior to cloud uploading and it comes with added compatibility for Android and iOS. There is an alternative to the dual-application process described above. Although most cloud-based storage services transfer over an encrypted session and store data in an encrypted form, the files are still accessible to the service provider which makes the data vulnerable to court-ordered subpoena. In order to rectify this, two different zero-knowledge data storage companies provide secure online data backup and syncing – SpiderOak and Wuala. For obvious reasons, there is no password recovery and employees have zero access to your data. 3. Voice Privacy – Wiretapping will become more prevalent in the days and months ahead. From the creator of PGP, Zfone is a new secure VoIP phone software product utilizing a protocol called ZRTP which lets you make encrypted phone calls over the Internet. The project’s trademark is “whisper in someone’s ear from a thousand miles away.” You can listen to Zimmermann present Zfone at DEFCON 15. Also utilizing ZRTP, open-source Jitsi provides secure video calls, conferencing, chat, and desktop sharing. Because of security issues and lawful interception, Tor Project’s Jacob Appelbaum recommends using Jitsi instead of Skype. Designed specifically for mobile devices and utilizing ZRTP, open-source RedPhone from Whisper Systems is an application that enables encrypted voice communication between RedPhone users on Android. 4. Chat Privacy – Encrypting your chat or instant messaging sessions is just as important as encrypting your email. Cryptocat establishes a secure, encrypted chat session that is not subject to commercial or government surveillance. Similar to Cryptocat, the older and more durable Off-the-record Messaging (OTR) cryptographic protocol generates new key pairs for every chat implementing a form of perfect forward secrecy and deniable encryption. It is available via Pidgin plugin. 5. Traffic Privacy – The final step in the process is geo-privacy, which refers to the protection of ‘information privacy’ with regard to geographic information. Virtual Private Networks, or VPNs, have been used consistently for anonymous web browsing and IP address masking. Just make sure that your VPN provider does not log IP addresses and that they accept a form of payment that does not link you to the transaction. Additionally, the Tor Project provides free software and an open network for privacy-oriented Internet usage. Intended to protect users’ personal freedom, privacy, and ability to conduct confidential business, Tor (The onion router) is a system that improves online anonymity by routing Internet traffic through a worldwide volunteer network of layering and encrypting servers which impedes network surveillance or traffic analysis. *****Tell the Senate NO on S. 3414, the Cybersecurity Act of 2012: CISPA. They can vote as early as next week! COMMUNITY SERVICE–ONE PERSON can make a DIFFERENCE to SO MANY! “Life is too hectic for me to make a commitment to volunteering. How often do we hear those words? I used to say them. Then I met Freeda Helmuth. Monday through Friday, 93-year-old Freeda (Schwietert) Helmuth babysat for her two-year-old, 4-year-old and her 6-year-old great-grandchildren. She also gardened, kept house and made quilts. The last time I talked to Freeda she had made grape jelly and grape juice that day from her homegrown grapes. She also gave me her recipe for a cucumber and onion mix. Freeda ALWAYS had time to give. 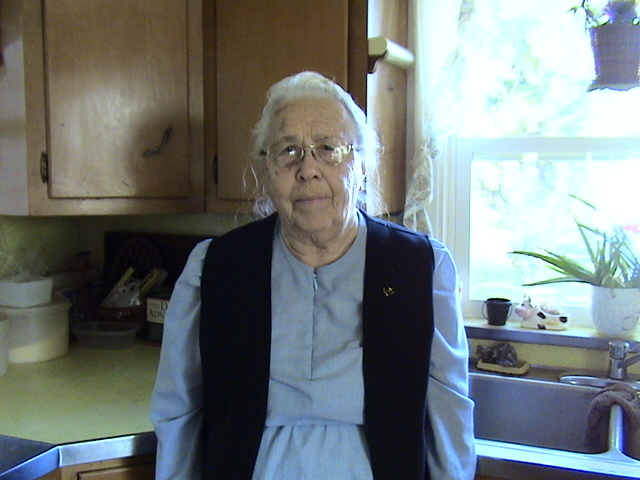 An active member of Salem Mennonite Church, Nappanee, Freeda was involved with the Nappanee Missionary Church’s Sewing Circle and attended Nappanee Care Givers. But, Freeda’s “giving” wasn’t limited to church or missionary service work. In 1936 Freeda married Eli and by 1959, they had eight children. Then they further expanded their family by taking in foster children needing a home. Over the next 25 years Freeda and Eli took in 46 children including those with handicaps and serious illnesses. “Several children came that were so undernourished,” Freeda told me, “one girl was hit on the head by her daddy and was blind and paralyzed because of it. She had surgery on her head and was able to see and walk again. She was soon adopted after that. “It’s hard to give up children in foster care. They never left without tears and a prayer, knowing that God would take care of them wherever they are. “After 25 years we quit foster care. Five years later they wanted us to start up again, but in the meantime, friends and neighbors had started bringing in their babies and I started daycare. I did not realize it would last until now, over 20 years later. In 1981, Freeda and Eli traveled to Germany, France, Switzerland, Holland, Belgium and Denmark. In 1987 they took a 6 week trip to Alaska. They went up to see the pipeline. While in Fairbanks, they saw an Eskimo lady sweeping the sidewalks. Freeda grew up in North Dakota during a time of dust storms and the depression. She was the fifth child from a family of eleven. Her nearest neighbors were a mile away. 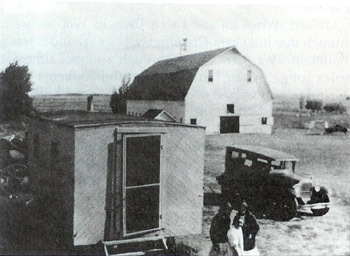 This is a picture of the farm where she lived. She said, “Are you what we call Amish?” She told Freeda and Eli that she had read about the Amish and that there were just a few left. 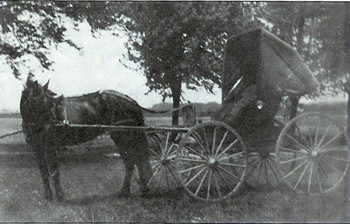 Freeda told her there were Amish in almost every state in the United States. In 1990, when Eli was 80 years old, he and Freeda went to Paraguay, South America for two weeks for a wedding. In 1993, Eli had flu symptoms and a pain in his side. Eli’s first horse and buggy. Only it wasn’t the flu. Eli had had an abdominal aneurysm. Freeda and Eli had been married 57 years when he died. Together they had bought and paid for their farm. They had traveled around the world. They had raised 8 children and fostered 46. In addition, Freeda has 20 grandchildren and 24 greatgrandchildren. Freeda Helmuth, 95, died Thursday at 3:30 p.m., March 3, 2011 at IU Health Goshen Hospital. Today, I believe that Freeda is caring for children. She is also encouraging each and every one of us to do ALL that we can to help those less fortunate. I am grateful to have met Freeda Helmuth and blessed that she shared her story and friendship with me. Despite all the attention unemployment is getting from the Obama campaign, the President hasn’t met with his “Jobs Council” in over 6 months. CONTROL THE GUNS AND YOU CONTROL THE PEOPLE…Warning: Graphic Violence. This disturbing video clearly demonstrates the consequences of centralizing government power and disarming citizens. 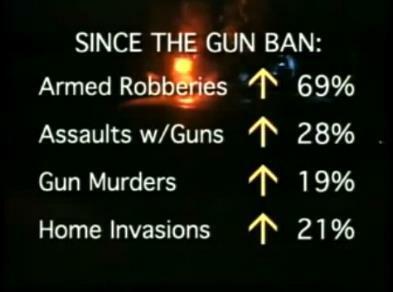 What happened in Australia after they BANNED GUNS? 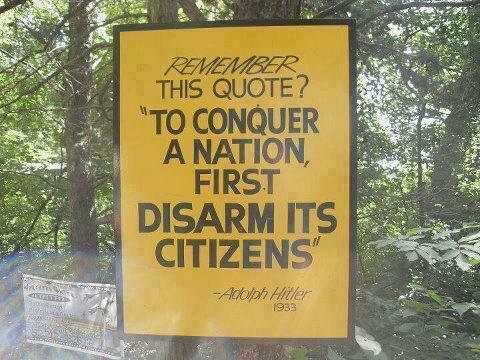 The text for the United Nations Arms Trade Treaty has been leaked. Read it HERE. The county fair may wind down this weekend, but the music scene won’t, and all a fantastic show will cost you is a canned good. A recent Memorial High School graduate, Paxton Manly will perform in his third annual concert/food drive to benefit Church Community Services (CCS) Saturday, July 28 at 7:00 p.m. The concert will be at the First Baptist Church, 53953 C.R. 17, Bristol (on the edge of Elkhart in the Six Span Bridge area). Manly offers a night of live music entertainment covering artists including Josh Groban, Michael Buble, Coldplay, U2, The Beatles, David Phelps, the Gaith Vocal Band and many more. Your admission price? A non-perishable food item or monetary donation to CCS. An interview of the Food Services Director, Mary Kneller, about the services CCS offers, as well as interviews of food pantry clients about their experiences. Activism, Audit the Fed, Ben Bernanke, Federal Reserve System, Federal Reserve Transparency Act, Harry Reid, Nevada, Ron Paul, Senate, Transparency, Washington D.C. Audit the Fed passes House 327-98. The only NAY from Indiana was Congressman, Andre Carson. Here’s the ROLL CALL. Harry Reid has vowed not to let the bill come to a vote in the Senate. 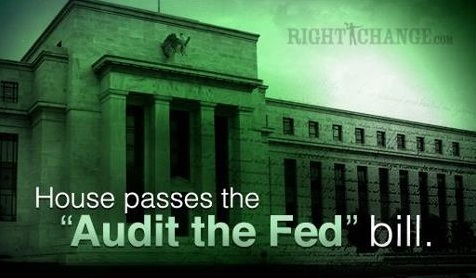 Take a stand and let Harry Reid know it is the will of the people to audit the fed! 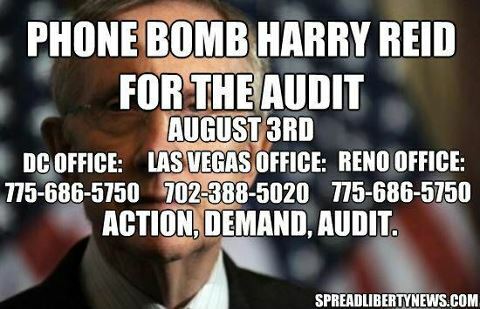 Here is Senator Reid’s contact info. Please share it everywhere!